Inner West Greens Councillor Tom Kiat tipped off his Facebook page followers who might have been attending the Edge festival in Ashfield on 6 September about drug detection dogs that were present at the local train station. The post subsequently gained the attention of NSW local government minister Gabrielle Upton. And in late September, the minister announced that her department would be conducting an investigation into whether Mr Kiat had breached the Model Code of Conduct for Local Councils. There was contention over whether Kiat was encouraging people to break the law by making them aware of the dogs. 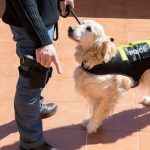 However, since most searches following a dog indication result in no drugs being found, it could easily be said he was mainly helping people without drugs avoid a humiliating search. The Office of Local Government recently announced it was backing down on its investigation. A spokesperson said that the conduct code shouldn’t be applied in a way that would deny a councillor their “ability to engage in public debate”. Sniffer dog tip-offs are nothing new. 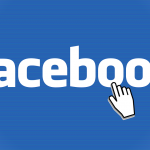 The Sniff Off Facebook page has been notifying its followers to the whereabouts of drug detection dog operations since 2014. Today, one of its 44,000 followers can notify the page admin as to the location of a drug dog and they’ll post a warning about it. 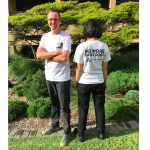 Established back in 2011, the Sniff Off campaign is a collaboration between the NSW Young Greens and Greens MLC David Shoebridge. It’s calling for an end to the warrantless use of drug detection dogs in public places by NSW police. Shoebridge has been obtaining sniffer dog statistics via freedom of information laws for years now. And the figures reveal that searches carried out following a positive indication from a drug dog result in no illicit drugs being found between two-thirds and three-quarters of the time. And there’s also been a lot of criticism of sniffer dogs’ use at festivals, as their presence can lead punters to partake in dangerous drug taking practices. James Munro tragically died at Sydney’s Defqon.1 festival in 2013, after panicking and taking all his drugs at once on spotting a sniffer dog. The fact that they are hopelessly flawed is not the only reason NSW police drug dog operations have come under public scrutiny recently. The choice of where police have actually been deploying the dogs has been questionable. A 15 November Sniff Off post shows police with a drug dog outside Goulburn Workers Club, where local teenagers were gathered for their school formal, while a post last Saturday shows a drug dog being led on a leash at a Hunter Valley wine and cheese festival. 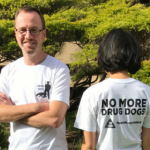 Sydney Criminal Lawyers® spoke with Councillor Tom Kiat about his motivations behind his drug dog post, the reason as to why he asserts the OLG investigation was out of line in the first place and whether he’d post another tip-off in the future. Firstly, Tom, you tipped off your Facebook page followers about the presence of sniffer dogs at Ashfield station. Considering the growing community backlash towards sniffer dogs, as well as the regular tip-offs being sent out by Sniff Off, did you think your post was a big deal? And did you expect it to land you in such hot water? No. The effect of notifying people of public policing – such as the presence of drug dogs – is usually deterrence. If my post had any impact at all, it would be that some people would have decided not to bring drugs to our event. On the other hand, I think the work Sniff Off is doing is a big deal, and an important campaign. Weeks later, the NSW minister for local government described the post as “absolutely disgraceful”. And she announced that she was launching an investigation into the matter. How did you feel about this development? And how do you think the minister became aware of your post? I presume the journalist was tipped off by one of my political rivals on council, who then tipped off the minister. The minister’s office tried to get a story out of this in spite of the fact that her office should not be referring potential councillor Code of Conduct breaches to the Office of Local Government. I am sure the OLG would have told her that the proper process is to refer the conduct to the general manager of the council to be dealt with confidentially. While some may be surprised that the minister for local government ignored this process and asked OLG bureaucrats to do the same, I wasn’t. It was recently reported in the Sydney Morning Herald that “Gabrielle Upton’s office has been described as a ‘toxic environment’ with contempt for bureaucrats in a complaint sent to the premier’s office”, with 16 staff leaving in the past 18 months. But, recently the Office of Local Government announced it had backed down on the investigation, which meant you no longer risked being suspended from the Inner West Council. A spokesperson for the department stated that the code shouldn’t be “applied in a manner that would unduly inhibit a councillor’s ability to engage in public debate on policy questions or to comment on an issue affecting the community”. What would you say that the spokesperson’s statement reveals about that the position the department came to in regard to your post? As mentioned earlier, the OLG was not conducting an investigation into a complaint regarding a Code of Conduct breach according to the proper processes. Therefore, I don’t believe they had the power to suspend me. Nonetheless, the issue of freedom of political communication is very important for councillors across the state. The NSW government has drafted the councillors’ Code of Conduct to include what many fear will be weaponised as “gag clauses” against councillors who criticise the majority decisions of their council. The state government has applied a standard to councillors that would never work for state MPs. 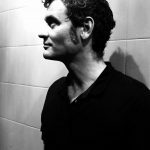 There has been talk amongst Greens councillors across the state about the possibility of protection under the constitutionally implied freedom of political communication. So, it is big news for us that the OLG interpreted the code restrictively to comply with that freedom. You don’t support the warrantless use of sniffer dogs in public places by NSW police. Can you outline what you find so problematic about it? When it comes to drugs – illicit or otherwise – safety is at the front of my mind. Like most people, I don’t want to see anyone hurt themselves or others using drugs. Beyond that, I don’t think the state needs to interfere with the safe recreational use of drugs. Unfortunately, this state’s drug dogs do little to reduce drug harm. In fact, they can cause harm as when a young festivalgoer swallowed all their drugs at once when they saw a drug dog and tragically passed away. The drug dog program is targeted at poorer communities, young people, and Aboriginal people. The dogs are wrong most of the time, leading to unnecessary and embarrassing police searches in public places, and when they do get it right, they almost always catch people for possession quantities. It is a gross waste of public resources, which would be better spent in desperately needed drug rehab programs. 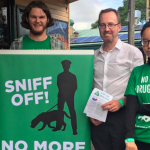 I’m glad the Greens have David Shoebridge MLC and our candidate for Summer Hill Tom Raue, who have pioneered the Sniff Off campaign which has very successfully let the public know about the fundamental flaws of the drug dog program. 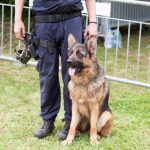 NSW police states that it deploys drug dogs at music festivals as a deterrent so that people don’t engage in illicit drugs. Following the two drug-related deaths at Defqon.1 in September, safety at music festivals has been a growing concern in the community. How would you propose drug harms be dealt with at festivals? Sadly, the focus on “law and order” reactions to drug use has stymied attempts at a real conversation about reducing drug harm. David Shoebridge recently hosted a roundtable at parliament to discuss these issues in detail, which festival organisers were very keen to participate in. The Greens have long advocated pill testing for festivals, so that festivalgoers can make safer choices. It seems likely that removing the police threat from drug users would also lead to earlier reporting of possible overdoses. And no doubt, the presence of more paramedics, rather than police, at festivals would be a great move for safety. The response of the NSW government to the recent deaths at Defqon.1 was to establish an expert panel into music festival safety. Although, premier Gladys Berejiklian made clear that the panel members weren’t to consider pill testing. And following the tabling of the panel’s report, the premier announced new tough on drug measures, including a penalty of up to 10 to 25 years imprisonment for supplying someone with a pill that turns out to be lethal. What did you think about this response from the state government? We know that responses based on “law and order” won’t work. It is worrying that a young person who unwittingly supplies a friend with a lethal pill could face lengthy gaol times. Where does this get us? Unless we put the public health infrastructure and services in place, we won’t be able to make drugs safer for everyone. And lastly, Tom, your post drew a modicum of scrutiny from the NSW government. So, next time you’re out in public and you spot a sniffer dog operation, will you still be tempted to post about it. Of course, I won’t be intimidated by the conservative state government to stop doing the right thing by my community. But more importantly, I’ve appreciated the opportunity to speak about the drug dog program more broadly. And I hope we can have it replaced with something much more useful for our community in a future state government.